As some of you may have seen on the Register article Nutanix building an elite squad of crack VMware designers. After almost 4 years working directly with VMware in various capacities I’ve decided to take on an exciting new challenge. I greatly enjoyed my time working with VMware and learned a lot in the process. It truly is one of the best places to work in the IT industry and I would highly recommend it for anyone who gets the opportunity. In this new phase I will be able to work with VMware and directly contribute to the R&D of the Nutanix Virtual Computing Platform. As I’ll be a full time employee of Nutanix I’ll be stepping down from day to day running of my consulting business, but rest assured this blog will continue and I’ll keep brining my unique perspective on all things virtualization, cloud and business critical apps. I will be joining Josh Odgers, VCDX-090 (@josh_odgers), Jason Langone, VCDX-054 (@langonej) and Lane Leverett, VCDX-053 (@wolfbrthr) as the 4th VCDX at Nutanix. Nutanix now has more VCDX on staff than any other company outside of VMware itself. I’ll be joining an incredibly talented and innovative team helping to redefine the radically simple Nutanix Virtual Computing Platform for Business Critical Applications and Unix to VMware Migrations, an extension of the work I was doing for VMware. As part of the Solutions and Performance Engineering team, I’ll be working closely with Josh to bring you some great performance papers, case studies and reference architectures. Why Nutanix? Why now? Why does Nutanix see value in hiring VCDX Architects? Similar to what Josh Odgers explains in his article titled An Exciting Adventure for this VCDX, I had only recently discovered the Nutanix platform, although I had heard about the company at VMworld in San Francisco 2012. I didn’t really take much notice until they sponsored my blog earlier in 2013. The Nutanix promotion was one of the most successful marketing campaigns I’d ever seen with a click through rate of more than 20%. The reason for the success is probably that Nutanix was offering free tickets to a premier showing of the new Star Trek Movie – Into Darkness. I went along to the event in Auckland, at the start before the main event they showed a brief video about the Nutanix platform, which included a lot of quotes from people in the IT industry that I respect a lot. The radical simplicity and linear scale out nature of the platform really caught my attention. I really liked the idea of bringing Google like infrastructure to the masses. Take a look at how Nutanix works. 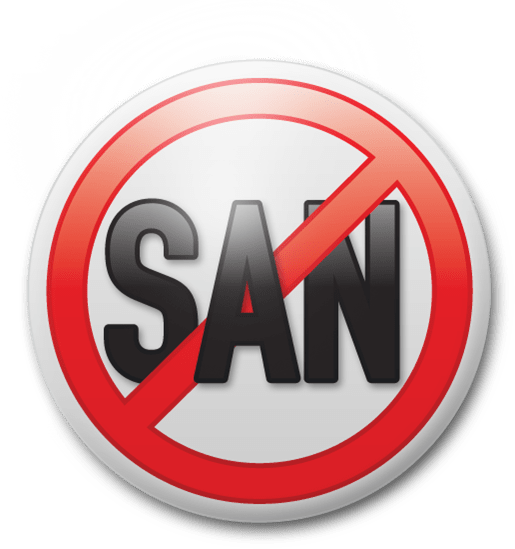 I immediately saw the potential and the benefits for business critical applications and Unix to VMware migrations, which wasn’t an area that had been targeted aggressively by Nutanix up to that point. There are a lot of ways that Nutanix cuts out the cost and complexity of traditional virtualised environments, even the converged environments offered by other VMware partners. The platform can be levered very successfully for all types of business critical apps, and one of my jobs will be to document the reference architectures for them and provide the performance white papers to back it up. I’ll be taking my 15+ years of large scale government and enterprise business critical apps, over 10 years of Unix to x86 migrations and virtualisation with VMware and applying it to the Nutanix scale out Virtual Computing platform. The Nutanix investment in business critical applications and the number of VCDX on staff, which is more than any other company other than VMware, is a testament to how seriously they’re taking the Virtual Computing Platform. Why now? I was very happy working with VMware and the APJ Center of Excellence as part of the Business Critical Apps practice. We had built a lot of momentum across the APJ region for business critical apps, Unix to VMware migrations, and had some very significant deals signed as a result. I was able to help a number of customers virtualize their business critical apps, including low latency apps, and was able to champion the development of VMware vSphere for the most demanding and critical applications. But then came along a very unique opportunity. Join an incredibly talented team including ex Google and Facebook people, 3 other VCDX’s, work collaboratively with VMware as a technology alliance partner, create reference architectures across the full vCloud Suite of products for business critical apps with Nutanix, as part of the global R&D team, and all the while without having to relocate. I’ll be able to do everything I need to from my lab at home. Plus I still get to attend and present at all the big events, such VMworld, vForum etc. With VMware becoming more of a part of OpenStack I’ll be able to learn about that and include VMware NSX use with Nutanix. To say I’m excited about the possibilities would be an understatement. Although I might be the 4th VCDX at Nutanix, I’m sure I will by no means be the last. Nutanix greatly values the contribution VCDX Architects bring to their organization. Steve Kaplan, Nutanix VP of Channels and Strategic Sales (@ROIDude) explained the value of VCDX to Nutanix and VMware ecosystem partners in his articles “What is the value of a VCDX to a VMware Ecosystem Partner” here and here. Nutanix sees enough value in VCDX that it is sponsoring two candidates to go through the VCDX process. Steve had this to say regarding me joining Nutanix “When I heard the news that Michael Webster (@vcdxnz001) was joining the Nutanix team, I was thrilled. While I only had met Michael once in person, I certainly knew of him by reputation. Michael is well-known not only for his technical prowess and articulation skills, but also as a really top quality guy as well. Michael is both a VCDX and VMware vExpert. I believe he is a great fit for the Nutanix organization and undoubtedly will further enhance the collaborative and purpose-driven Nutanix culture. I very much look forward to working with him.” Thanks Steve. I’m looking forward to working with you and the entire Nutanix team across the globe. Howard Ting, VP Marketing and Product Management had this to say, “Nutanix continues to attract the best people across many segments of the industry to join the company in full-time capacity or as advisors.”, which is along the lines of the Register article Nutanix building elite squad of crack VMware designers. I had such a great time working directly with VMware over the almost 4 years and achieved a lot, I greatly appreciate the opportunity working with everyone at VMware. I learned so much at VMware and greatly appreciated how globally connected, customer focused and team oriented the company is (like Nutanix), which is very rare. I think it’s on a great path to success. Nutanix is the right place, right now, to create and ride a whole new wave of innovation and success, collaboratively with VMware. Hyper-converged infrastructure is a great solution to many enterprise datacenter challenges we see today, and for some that will only become apparent in the future. I’m excited that I’ll be able to add to the success that has already made Nutanix the fastest growing IT infrastructure vendor of the past decade. Congrats Michael! I'm sure the Nutanix team will greatly benefit from your extensive experience. I know you care deeply about customers, so being able to work on reference architectures and help meet business critical needs is really outstanding. Congratulations Michael! Good luck in the new adventures. Wouaa, have a nice Nutanix experience, and please continue to share on your blog. Thanks Sebastien, I’m definitely going to keep sharing on my blog. I have a stack of articles to write, which I’m hoping to do over the holiday break among other things.